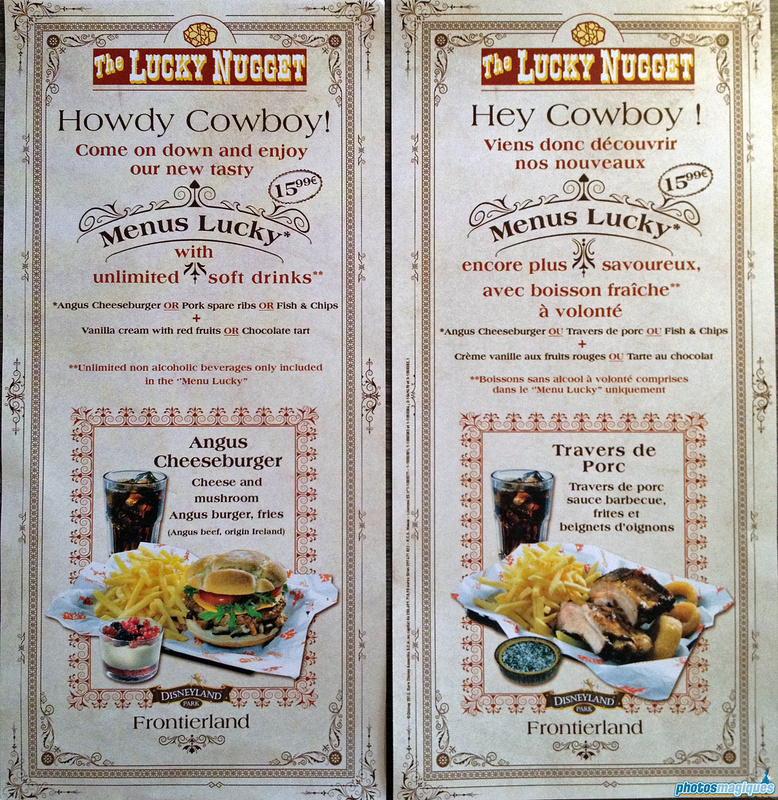 The Lucky Nugget Saloon, which was once upon a time a dinner show and later a buffet restaurant with Disney characters, closed for a refurbishment of the kitchen. Since its reopening earlier, flyers are now being distributed at the hotels and City Hall to promote a brand new menu deal called “Menus Lucky”. For 15,99 euros you can choose one main course and dessert and get unlimited soft drink refills. Dessert: Vanilla cream with red fruits or Chocolate tart. It’s not clear whether other items could be ordered, as there is no vegetarian option listed on this flyer! This is the second restaurant in Disneyland Park that offers unlimited soft drink refills. This concept was tried out earlier at Buzz Lightyear’s Pizza Planet and has proven to be successful. Next Next post: Happy 57th Birthday, Disneyland!